Carpet runners were originally intended to guide customers and visitors to a certain location. Nowadays runners are known as luxury decoration. They are omnipresent at award ceremonies, fashion shows, and important VIP events. 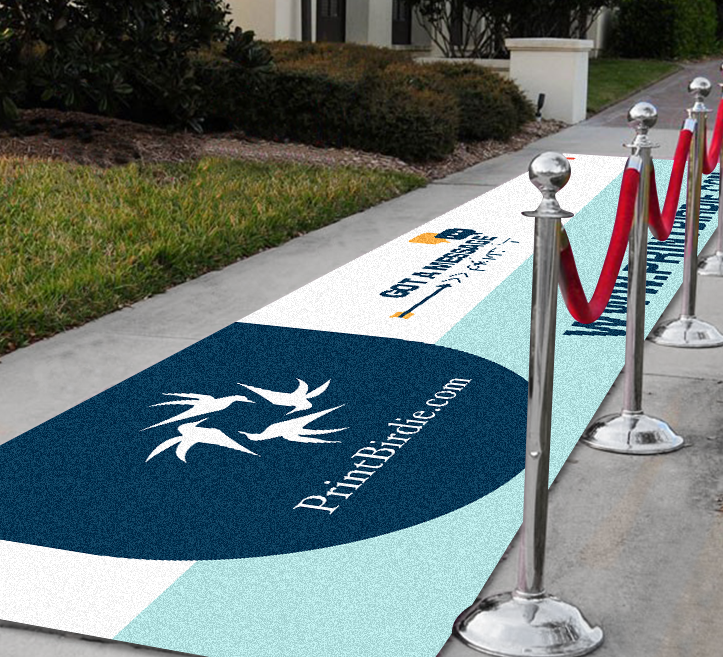 Give your customers, visitors and business partners a feeling that they are true movie stars by having a qualitative runner placed! You can, of course, personalize these runners by a print of your choice; eg a call-to-action, dot lines, messages and much more. Do your visitors and customers also deserve a VIP treatment? Then make sure you use these qualitative and beautiful runners!